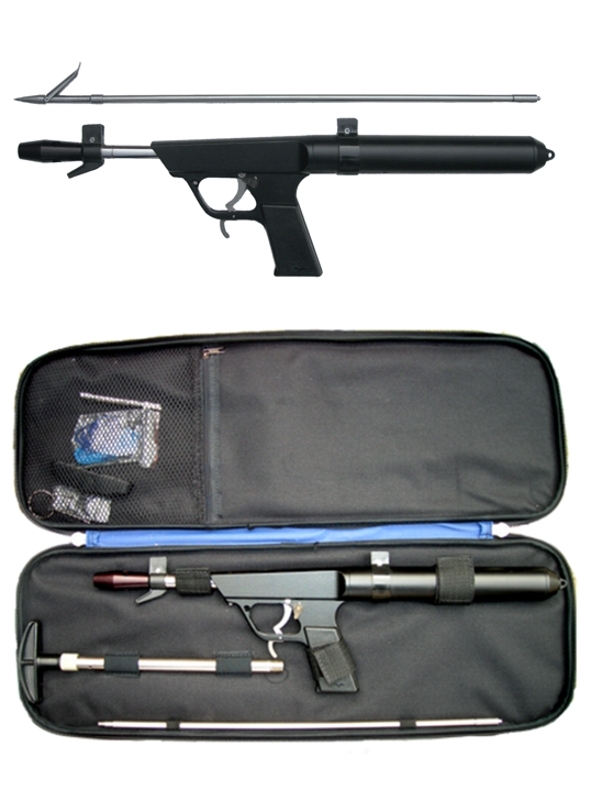 Sea Bear spear gun 21"
Accessories Sea Bear spear gun 21"
NV GX-40 RC BB RevliteSea Bear spear gun 32"
The spear gun comes with all accessories and a carrying case. This is the latest Sea Bear version which has been recently improved at our factory - it features a better trigger mechanism and a better muzzle compensator to reduce recoil. The length is 21 inches - compact and extremely powerful. The color is black. This spear gun is designed for all types of underwater hunting and can be used in both fresh and salt water. The pneumatic design allows for multiple shots by compressing air with a piston in the pneumatic chamber. Air is not released when it is fired and pumping is only required occasionally to maintain proper chamber pressure. The spear shaft is merely forced into the chamber until it locks in place and you're ready for the next shot. Spare parts as well as different sizes (12" ans 30") are available upon request. I've been using it for years - very pleased with performance. It is low mainternace and high power. Thanks a lot!